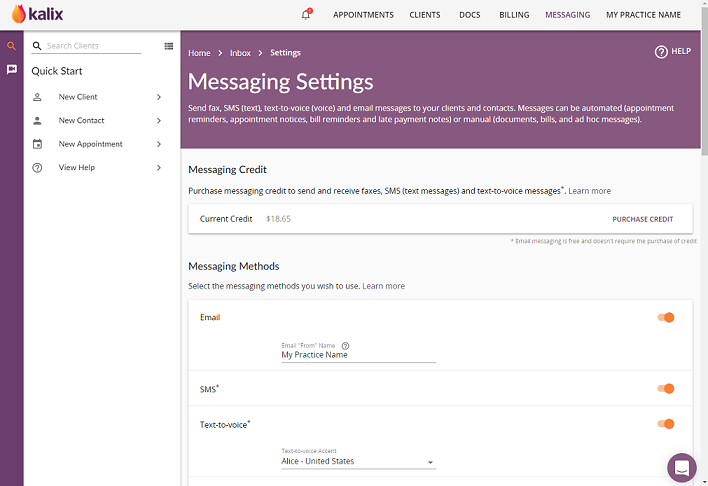 Dedicated numbers, messaging inbox, faxing attachments & bug fixes. We have just released a new update to Kalix. It includes a number of new features, design upgrades, and fixes. The biggest changes improved smartphone and tablet navigation, dedicated numbers and the new messaging inbox. A summary of the update is detailed below. A reminder to directors and administrators, changes have been made to Account Settings (previously called Organization Details) and Notifications. Please check your settings, click here for further details. We continue to renovate the look and feel of Kalix. Below are a list of the pages that were redesigned as part of this update. Kalix now allows you to purchase your own unique fax and telephone numbers. By using dedicated numbers, faxes and text messages can be received from anyone. For more information please click here. We are now able to start the process of porting your fax and/or phone numbers to Kalix (continental United States only). The process should take 2 - 4 weeks. If you would like to start the porting process, please reply to this message. See all messages sent and received via Kalix. Messages are arranged into conversations. Reply to messages directly from this page. Assign messages (e.g. new faxes) to clients and contacts. Kalix now supports the ability to send attachments (Word documents, PDFs and image files) via fax. As part of a document e.g. 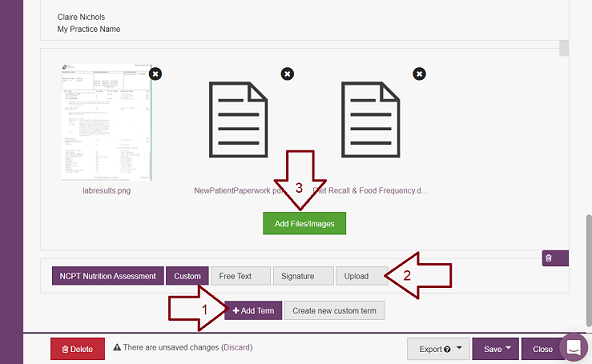 a doctor's note, click on the Add term button at the bottom of the page, select the option Upload and then click on the Add Files/Images button to upload attachments. For more information about faxing click here. 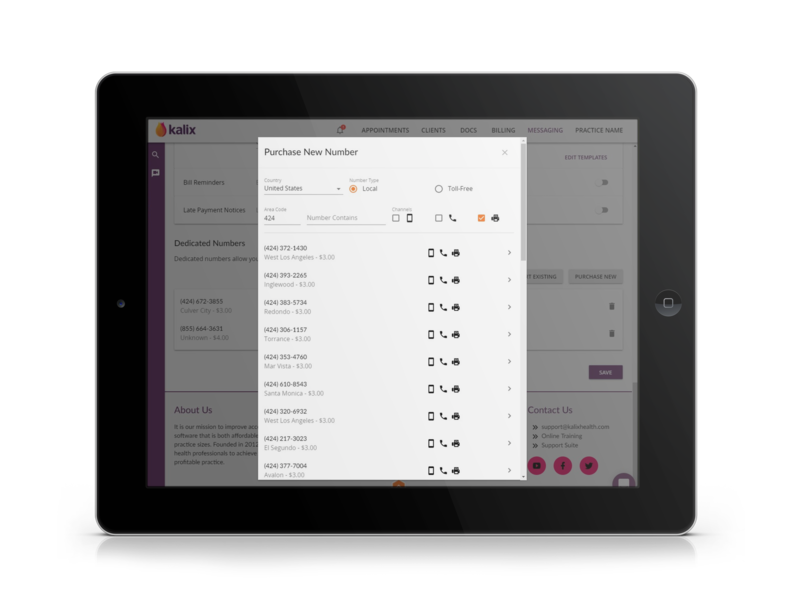 Kalix will always select at least 1 diagnosis pointer on CMS 1500 forms, even if ICD-10 diagnosis code is added after the billing item. In documents, the edit tab no longer overlaps text (Safari Mac). Insert link now works in the email message template associated with online documents. 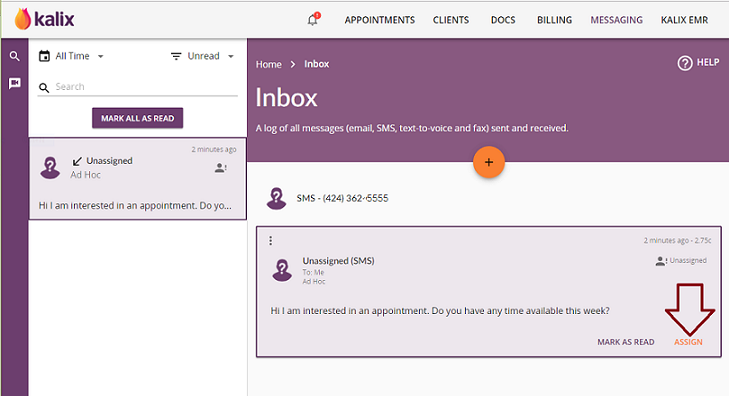 For SMS appointment reminders, Kalix is able to understand client responses (Yes/No) thecontaining periods or other punctuation and automatically confirm or cancel these appointments. We are currently working on integrated online payments. As part of this upcoming release we will be overhauling the Kalix's billing feature. We would love to get your feedback about how billing could be better. To do this we decided to trial something new. We have launched the Kalix Facebook Group. The Kalix Facebook will be supportive space for Kalix customers new and old to connect and learn from each other. We will share insights about future developments and you can provide constructive feedback that shapes the direction of new and upcoming feature releases. To start things off we are currently seeking your feedback about billing, click here to join.